As the prevalence of smartphones increases, businesses must consider how their emails appear on mobile devices. You may have created a marketing email masterpiece, but how will it look when someone reads it on a cell phone? This is a very real concern, considering that 56% of email opens occur on mobile devices. The ubiquity of smartphones has changed our relationship with email. The 72% of American adults who own smartphones are checking email much more frequently throughout the day. This equates to better chances for your brilliant marketing email to be seen and read. But, the caveat is that your email, which is typically designed to be read on a laptop or desktop computer, must be easy to read on any device. 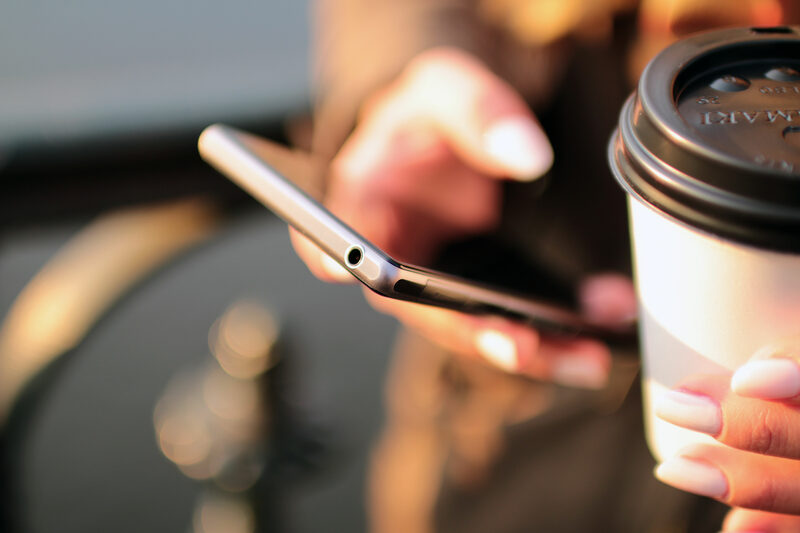 If you send a marketing email that is not optimized for mobile, more than half of your recipients are straining and struggling to read your content. You’ve given them a good reason to delete it instead of reading it. Your message should be well articulated but simple. Keep paragraphs short and concise, and put all of the most relevant facts first. When it comes to images, less is more. Android devices automatically block images unless the user changes their settings. And for those who do see your image, it’s rarely optimized for their specific phone, since shapes and sizes of mobile screens vary. It becomes work for your reader to try to shrink or enlarge the image to see the whole message. Also note that when you embed large image files, they may take an excessively long time to load. Be very concise with your “subject” and “from” lines, which are super-condensed on cell phones. For example, an iPhone (held vertically) only displays the first 25-30 characters of a subject line. Often, sender’s name is boldfaced and the first thing the reader sees. Make it easily recognizable! Responsive: your new best friend. Choose a “responsive” template, which will automatically fit an email to the screen on which it’s being viewed. This assures you that your marketing email will look the way you intended, whether it is viewed on a smartphone, tablet, laptop, or desktop computer. WordPress has pre-built themes that incorporate responsive design elements. Unfortunately, there’s no simple plugin to make a non-responsive template responsive. Avoid adding links. Use a button instead for your call-to-action. Make sure to set plenty of space around it, so it is easy to click without accidentally clicking something else. Buttons essentially prove to be much easier for people to click on when using a touchscreen. Keep in mind: With 98.4% of the market share today, Android and iOS are the operating systems your emails typically will be viewed on. To remain competitive, your marketing email designs must be optimized for mobile to remain consistent across multiple devices. It is wise to test how your emails look on different devices to see how they appear on each screen. But most importantly, choose a template that is responsive, and make these five tips a regular part of your email marketing strategy.